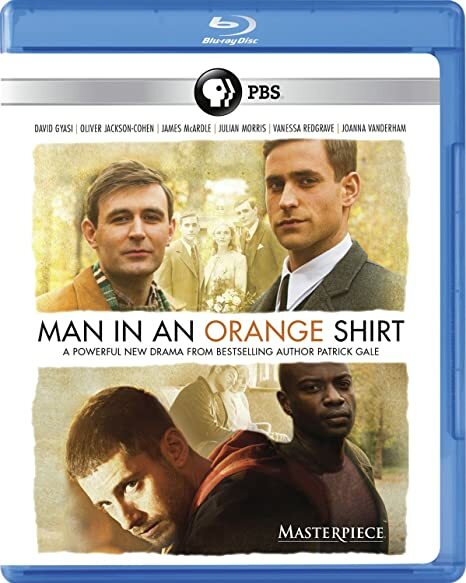 Man in an Orange Shirt - BUY THIS ON BLU-RAY! From novelist Patrick Gale, this is a tender, powerful film sure to spark conversation about outdated attitudes and equal rights. Two love stories set 60 years apart are linked by a secret that echoes through generations, from a forbidden relationship impossible during WWII, contrasted with a present-day romance that is nearly derailed by the 1940s tale with which it is deeply intertwined. THEN SEND IN YOUR NAME, ADDRESS AND FIVE COMMENTS TO contests@efilmcritic.com orWeLoveHBS@aol.com. (Just one e-mail please.) Put "MEET THE MAN WITH ONE RED SHOE" in the subject line and cross your fingers. We will draw names and one of the prizes from PBS will be yours. Only 1 entry per household.